This article originally appeared in npEXPERTS: Making Waves. Download the full report to read advice from additional experts. What makes ideas spread? Some of the most powerful players in the world today— from #GivingTuesday to Donald Trump to Airbnb® to the Parkland students—are successful because they understood one thing: people powered mobilization. In today’s connected and peer driven world, it’s not the quality of the idea alone that creates change, but how change makers coordinate the masses to tell their stories, cast votes, influence policies, and shape public opinion. Power, or the ability to influence, has quietly transformed over the past decades, giving way to an entirely new model which Henry Timms of #GivingTuesday and Jeremy Heinmans of Purpose coined as “New Power”, which they describe as the deployment of mass participation and peer coordination to create change and shift outcomes. This tech driven model is moving away from a ridged hierarchy where an elite few hold on to powerful connections like a currency, to one which resembles an interconnected network acting more like a current, which flows sideways from one participant to the next. The opportunity for nonprofits is to create campaigns that facilitate deeper engagement, keeping the following new trends in mind. Peer driven engagement is key to scaling change. Your supporters are inspired to make an impact and bring their social networks, stories, and ideas to the table. However, with the growing democratization of social change, the digital tactics we’ve come to know and rely on may not continue to gain the same traction. The days of nonprofits having control of all aspects of their campaigns and expecting widespread participation are over. Cause minded individuals are now taking the initiative to create their own change and rally support…and their efforts are working. We’ve seen the power of ownerless hashtag campaigns like #KeepFamiliesTogether, #Metoo, #MarchForOurLives, and various political campaigns, including President Trump’s, which allow for individual expression among peers and generate more commitment and ownership. Would #GivingTuesday have emerged as the largest worldwide giving day in history if the founders controlled every aspect of the campaign—made everyone register, required donations, didn’t rely on peer-to-peer engagement, and enforced tagging the brand vs. using a hashtag? Instead, the brilliant and humble 92Y provided a centralized plan and message that encouraged diverse participation from organizations, corporations, and individuals worldwide. At the heart of these successful movements is a peer driven strategy: People who have a common sense of urgency about a cause connecting with each other through digital tools and social channels to activate change. People want meaningful participation, not one-off actions. Perhaps the greatest gain for nonprofits lies in building up their super volunteers, advocates, and participants who want to do more than sign a petition or make a donation. Stunning results can happen when people are aligned with shared goals, milestones, specific tasks, and opportunities to grow into leaders. As demonstrated by the Bernie Sanders campaign’s “super volunteers”—a campaign that entered the race with only 3% name recognition: an impact can be made far beyond your fighting weight with a structure and philosophy that empowers others to join you. With only two digital staff members at the time, the campaign hosted the largest distributed political event in history with 2,700 kickoff parties in one night! This was accomplished because the campaign trusted volunteers to run events traditionally executed by campaign staff—they gave power to their people. It’s this same people-powered principle that allowed volunteers of the Special Olympics to host over 100,000 events per year, or every 5 minutes! In both cases, the organizations found that if they provided a structure that empowered their highly competent volunteers to do a job, they would rise to the occasion. The key to success is providing an engagement ladder to develop and coach super advocates and volunteers to become leaders as the image above illustrates. Citizen powered movements play an enormous role in leading social change. What does an effective people powered campaign look like? Some of the best examples are advocacy campaigns that have initiated concrete policy outcomes or shifted public opinion beyond financial and geographical limitations. The Networked Change report from NetChange evaluated 47 of most effective campaigns, ranging from the NRA to Occupy Wall Street, and concluded that campaigns that worked in partnerships with self-organized networks of people and nonprofits with clear goals and targets made an impact far beyond their level of resourcing. The magic combination was the traditional nonprofit that provided a centralized campaign structure and unified rallying message to distributed groups of stakeholders, including individuals, as free agents. In contrast, traditional organizations that controlled every aspect of the campaign couldn’t scale their campaigns, and loose networks of individuals who didn’t partner with traditional nonprofits lacked the infrastructure to make the impact they intended. The report also found that campaigns that actively consult their audiences and draw on their collective intelligence have access to new assets and power. In other words, nonprofits that facilitated grassroots participation were more innovative and made a greater impact faster than traditional “command and control” models and networks of people without a centralized plan. In summary, giving power to your people allows for deeper engagement with supporters who can scale your mission and accelerate citizen engagement—to produce content, wield influence, and help determine how culture is created. It’s an expression of an open society and medium of true democracy. This year, experiment with strategies that give people the keys, but always provide a roadmap. Want to put new power ideas to work for you organization? 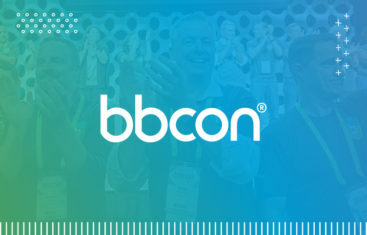 Join us at bbcon for the Nonprofit Super Session! Register today! We have seen this first hand in our third party program. It’s amazing to see how passionate and inspired people are for our mission. It’s great to see what people can do for you if you give them the power. This is a really great article! Thank you for focusing on how engagement and participation can be enhanced. Great article! Couldn’t agree more with the idea that people want meaningful participation not one off actions! Its all about relationship! People want meaningful engagement!! So true! Such an important point to get across. Thank you! The information about peer driven engagement is such a powerful dynamic. It truly multiplies the hands at work! It’s amazing how motivation of a group can influence the direction of the effort. Looking forward to learning more about this! I have seen how people are becoming more active these days and want to do more than just simply sign a petition for things to happen. It would be in our best interest to be part of such changes. We all know that donors want to understand the impact that they are having on our cause. What better way than to get them actively engaged in the development process? I really enjoyed the article. Thank you.